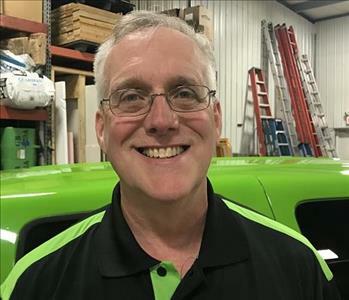 Mike is the Owner and President of SERVPRO of East Brown County. Mike has the following certifications from the Institute of Inspection Cleaning and Restoration Certification (IICRC): Water Removal Technician (WRT), Applied Structural Drying Technician (ASD), Applied Microbial Remediation Technician (AMRT - Mold), and Fire and Smoke Restoration Technician (FSRT). He is also trained in Hi-Tech drying and Soda and Dry Ice Blasting. He is also a Lead Safe Renovator and has the General Contractor Qualifier License. He has many years of business, personnel, and project management experience. 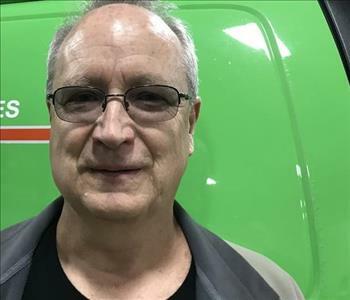 Scott is our Master Carpenter at SERVPRO of East Brown County and has many years of rough and finish carpentry experience as well as drywall repair, painting, etc. He has a fine eye for detail and does high quality work. 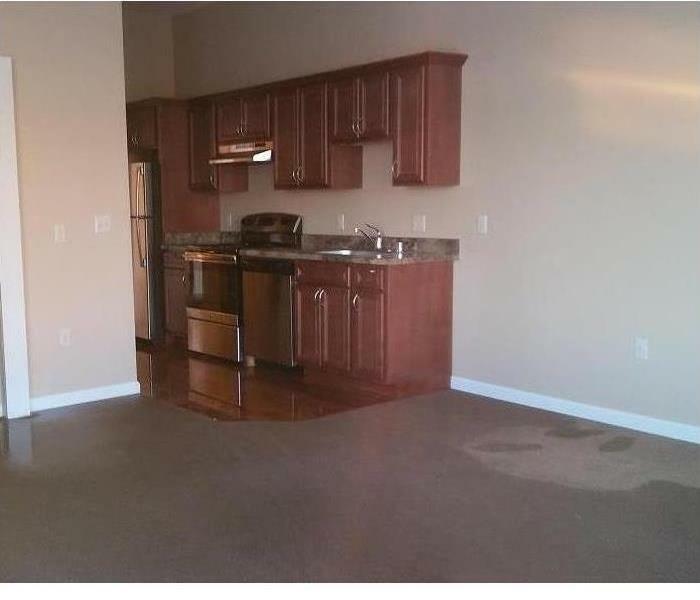 Scott will ensure that the rebuild portion of the job will go smoothly and will be done correctly. 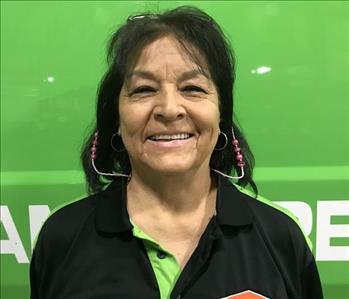 Angel is a crew chief at team SERVPRO of East Brown County. She has over a decade of restoration experience as well as extensive experience in fire restoration of both structures and contents . Angel has the following certifications from the Institute of Inspection Cleaning and Restoration Certification (IICRC): Water Removal Technician (WRT) and Applied Structural Drying (ASD). Angel works on water, fire, mold, and bio-hazard mitigation projects. Sue is a production technician on Team SERVPRO of East Brown County. Sue has the following certifications from the Institute of Inspection Cleaning and Restoration Certification (IICRC): Water Removal Technician (WRT) and has over a decade of extensive experience in fire cleanup and restoration. Georgia is Vice President of SERVPRO of East Brown County and directs accounting services and human resources. She has previous experience managing people and processes as well as in procurement services. 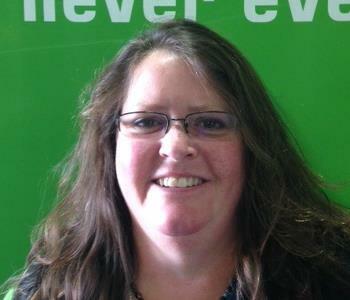 Beki is our Office Manager at SERVPRO of East Brown County. She handles all billing, communications, and general office functions. She also is our safety coordinator. She has the following certifications from the Institute of Inspection Cleaning and Restoration Certification (IICRC): Water Removal Technician (WRT). 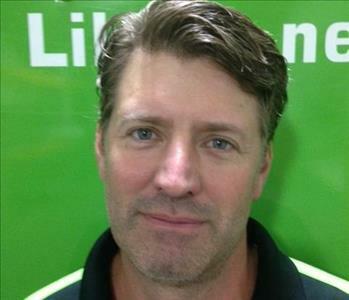 Jim is the Sales and Marketing Manager at SERVPRO of East Brown County. He is responsible for company wide business development and managing relationships with existing clients. Jim has many agent and adjuster contacts he sees on a regular basis. He has spent his entire career in sales and marketing activities. Billis a Sales and Marketing Representative for SERVPRO of East Brown County. His primary responsibilities are new business development and fostering existing relationships with commercial accounts throughout the region. Bill has previous experience in sales and even owned his own business in the past. He is an excellent resource for commercial accounts. Brandon is a production Technician at team SERVPRO of East Brown County. He has restoration experience as well as carpentry and painting skills. Brandon works on water, fire, mold, and bio-hazard mitigation projects. He has the following certifications from the Institute of Inspection Cleaning and Restoration Certification (IICRC): Water Removal Technician (WRT). Brandon is a production technician on team SERVPRO of East Brown County. Brandon is experienced in handling water, fire and mold mitigation and restoration duties. He has the following certifications from the Institute of Inspection Cleaning and Restoration Certification (IICRC): Water Removal Technician (WRT). 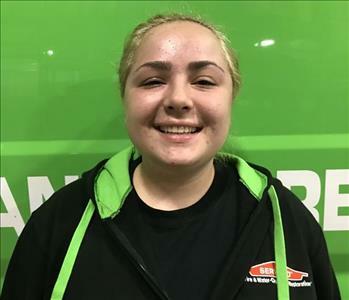 Alyssa is a production Technician at team SERVPRO of East Brown County. She has restoration experience and general cleaning experience. Alyssa works on water, fire, mold, and content cleaning projects. She has the following certifications from the Institute of Inspection Cleaning and Restoration Certification (IICRC): Water Removal Technician (WRT). Elaine is a production technician on Team SERVPRO of East Brown County. She has the following certifications from the Institute of Inspection Cleaning and Restoration Certification (IICRC): Fire and Smoke Restoration (FSRT), as well as Odor Control (OCT). Elaine has several years of experience in restoration and works on water, fire, mold and bio-hazard mitigation projects. 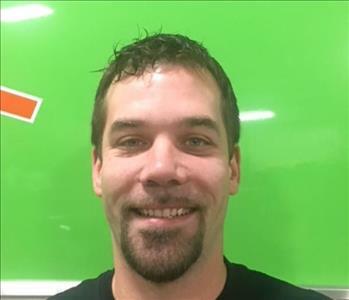 Josh is a production technician at team SERVPRO of East Brown County. He has previous cleaning and building maintenance experience. Josh works on water, fire, mold and bio-hazard mitigation projects. 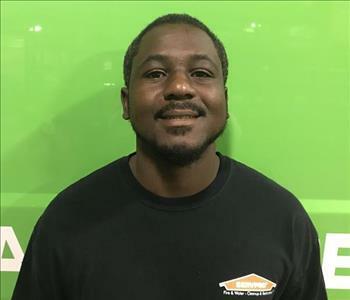 Philip is a production technician at team SERVPRO of East Brown County. He has previous experience in construction work. Philip works on water, fire, mold and bio-hazard mitigation projects. He has the following certification from the Institute of Inspection Cleaning and Restoration Certification (IICRC): Water Removal Technician (WRT). Alex is sales and marketing coordinator at team SERVPRO of East Brown County. She handles our website, blog and social media accounts. Alex is a former television news reporter with more than nine years of experience in that field. Marc is our shop steward. He is responsible for making sure all of our equipment and vehicles are cleaned and maintained so they are always ready for our next job. He also is responsible for keeping the shop and warehouse in a clean and orderly condition so our technicians can easily find tools and equipment. 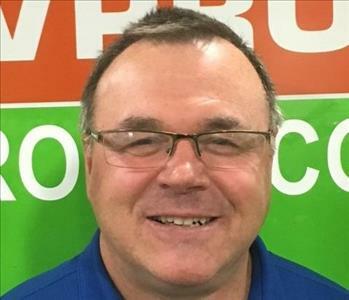 Marc joined team SERVPRO of East Brown County after being a county commissioner and a carpenter. Joan is a production technician on Team SERVPRO of East Brown County. Joan has several years of experience in restoration and works mainly on fire contents and structure cleaning projects. 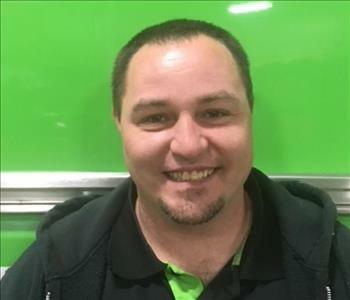 Trevor is a production technician at team SERVPRO of East Brown County. He has previous cleaning and building maintenance experience. Trevor works on water, fire, mold and bio-hazard mitigation projects. Sage is a production technician on Team SERVPRO of East Brown County. Sage works mainly on fire contents and structure cleaning projects.